Not only does Jeff Rosebrugh have the business acumen of a very good real estate agent, his communication skills and his willingness to provide services that go above and beyond considerably reduced the stress involved in selling a property. – M.N. I wish to express my deep appreciation and thanks to Shan Cappuccino of Royal LePage Performance Realty for his excellent service and guidance with respect to the staging and preparation for the sale of my property. His knowledge of current market prices was invaluable in establishing a viable asking price and a relatively short time-frame for the sale of the property. I would fully recommend Shan for any future realty matters. – C.G. I recently sold the condo where I had lived for more than 40 years. It could have been a difficult experience as I didn’t know the market and I had never sold a property before. Thanks to Janny Mills, Jeff Rosebrugh and Shan Cappuccino of Royal LePage Performance Realty, it turned out to be a pleasant undertaking. The team was totally dedicated. Shan, in particular, did not spare any effort to guide and support me in the process. Would I want to buy or sell another property, I know for sure that I would ask the same team to help me. – S.P. Jeff is a professional and knowledgeable realtor who always provides excellent advice and patiently answers questions and concerns. He sold two of my previous homes in the past with positive outcomes. Recently, Jeff sold my current home within a week. He is personable, competent and easy to work with. I have high regard for Jeff and would definitely recommend him. – Anna H.
I can’t thank you and your team enough for your expert assistance in my investment condo purchase in downtown Ottawa. I appreciated your advice, recommendations and help with the purchase, closing, renovations and finally the search for the perfect tenants – all done within 3 months! I would not have been able to do all this without the confidence I had in you to be at the scene personally while I live in Toronto. My experience was less stressful because of you. I am very happy to recommend you without hesitation should anyone be looking for a realtor in Ottawa. – A.C.
…I will certainly refer you to friends and acquaintances that may want to buy or sell their house. Thank you so much for helping me finding my house. I appreciated all your help, support and guidance along the way. I am glad that you were recommended you to me. – C. C-K.
We wanted to send you a quick note to say thank you for all of your assistance in selling our house in the Glebe this past spring. We were so glad to have the expertise that you, Shan and Jeff provided. It really helped us through the process and made it so much easier. Your great ideas, experience and suggestions were very well worth it. From our preliminary meeting, to staging the house, to negotiating the sale and finally to closing the deal, we were extremely comfortable and confident with you. We would not hesitate to recommend you to anyone who asks and hopefully we will be able to work with you again in the future. Thank you once again for your hard work and helping us to close our sale so quickly. – A.R. & C.D. I just wanted to thank you and your team for an amazing experience and all of your assistance with purchasing and closing the condo. You are amazing, supportive, generous and understanding, and your team goes above and beyond! As a newbie, I really appreciated all the hand-holding and communication during this process. I look forward to working with you again and will definitely recommend you and your team to anyone interested in the Ottawa market. Thank you again for everything, from myself and the rest of my family. Buying a house is stressful, but you’ve done an excellent job of removing pressure and guiding us in the right direction when we were going off-track. We’ve both thoroughly enjoyed our conversations, and we will miss them now that we’ve found a place. We are very excited about our house and moving on to the next stage of our lives. We count ourselves very lucky to have worked with you and to have secured such a pretty house in such a central location. — R.P. & S.P. I want to acknowledge the fine work done by you and Janny in helping to sell my brother’s condo. You did everything you promised during our first interview, and a bit more. Having your bespoke painter available was of great assistance in preparing the apartment quickly. I will recommend your services to anybody who asks. Best regards. — A.M.
We couldn’t be happier with the service we received from Shan and his team. Our house sold very quickly at the price we were looking for. More importantly, we were extremely well-supported throughout the whole process. Every detail, from staging to cleaning, was taken care of by Shan and his team. Through Shan, we also made fantastic contacts with contractors that we will continue to use at our future homes. I can’t say enough good things about our sale process and would recommend Shan and his team to anyone looking to buy or sell a house. — A.V. & K.B. Janny and Michelle, thank you for everything you did to get my house sold so quickly. I really appreciate that you went above and beyond to make everything so easy for me — especially since I lived 13 hours away. You made the process so much less stressful than I was anticipating, and your advice helped get me more than expected from the sale. Janny and her team have helped me with both purchasing a house in the past and, more recently, the sale of that house. Both times, I felt like I was her only client by how dedicated she was and that she genuinely made the right decisions for me. Not all Realtors are the same, and I’m glad to have found the best! — M.A. I’ve had two great experiences working with Jeff and his team. Most recently, Jeff helped me purchase a home while overseas. I wanted Jeff to represent me because of our previous success. Jeff’s skill-set and credentials make him uniquely suited for absentee clients who need to purchase a home in a compressed time frame. His advance preparation and expert knowledge of the Ottawa market enabled me to make the most of a short trip home for viewings. He has a team of professionals at his disposal and enlisted their support to further refine my search and enable speedy negotiations. When it came time to execute, the responsiveness and support I received ensured I got the house I wanted, for the price I wanted, in the time frame available. Most importantly, Jeff removed any and all of the stress that is so common in real estate transactions. He offered to pick up keys and inspect my home until I return to Canada — well and truly beyond his remit and a testament to his professionalism and character. He puts the client first and simplifies what is otherwise a very complicated process. I found my experience to be highly enjoyable and can’t thank Jeff and his team enough. — M.L. Shan Cappuccino was the real estate agent who sold my condo apartment in August 2017. From the beginning to the successful conclusion of the contract, Shan provided me with a great deal of support and encouragement, and I would highly recommend him to anyone planning to sell their house or apartment. — Eleanor M.
We are very happy to recommend Jeff without reservation; we have consulted him both as buyers and sellers in several transactions. We worked with Jeff as buyers of a condo, which ended up being perfectly suited to our unusual needs. He worked with us to submit an offer, which was very rapidly accepted. On the other side of the transaction, he helped us sell our house, pricing it exactly right so that we received a favourable offer on the same day the house was listed! Throughout both transactions, Jeff kept us fully informed and went out of his way to be helpful. His judgment during negotiations was spot on, and his advice about staging and preparing our house was essential to its very prompt sale. Jeff is personable and very experienced—he is a real pleasure to work with! — M.J. & O.K. Jeff is an excellent Realtor. We do not sell houses very often, but we are glad to have had Jeff’s assistance the last two times. We sold our larger family home in the suburbs in 1997, at what was close to the bottom of the housing market at that time. It took a while, but Jeff never gave up and ensured that we did not undersell it. More recently, he represented us in the selling of our downtown townhouse. Jeff clearly and succinctly described the process and was always available to answer questions and make adjustments as required. We could rely on his knowledge and experience and be confident that we were in good hands. With his assistance, and that of his colleagues Janny and Shan, our townhouse sold in only a few days. We are very happy with the outcome. Janny, Jeff and Shan went the extra mile to help me during my last home purchase. As an employee of the Government of Canada deployed overseas, I had the challenge of trying to find a new home in Ottawa and arrange a purchase, all from long distance and without stepping foot in it before closing. The team helped me out, by working with me to find the perfect place, making and finalizing an offer from overseas, arranging to have the necessary documents signed remotely, and putting me in touch with the necessary professionals (like home inspectors) to complete the sale. Their teamwork and professionalism made the difference and rendered a daunting task (like buying a home remotely) a great deal easier and less stressful. — D.D.S. I would like to thank you for all of the help you gave me in looking for an income property for my daughter. The level of service you provided us, and your attention to detail was unprecedented for me when dealing with a Realtor. I would definitely deal with you again, and please keep me in mind when another income property comes available. About 15 years ago, Shan sold our starter home for us and helped us purchase a 2nd home. The reason for our move back then was lack of space, and we were expecting our 2nd child at that time. Fast-forward 15 years, and we now have 4 children (2 teenagers) and had quickly outgrown our space once again! Shan went on the hunt for us and found us the perfect family home. It was extremely stressful as we had to sell our other home quickly and not at the ideal time of the year to be selling. Much to our surprise, we had over 10 showings in the first week and entertained multiple offers! We moved into our new place last month, and we could not be happier with Shan and his team; they are quick to get back to you, attentive to detail, master negotiators and do an amazing job of matching people up with the perfect homes! Shan and his team have always been and continue to be a pleasure to work with, and we highly recommend them to anyone we know looking at buying or selling real estate in the Ottawa area! We live in Calgary and had planned to purchase a condo in the Golden Triangle in Sept 2017. During our investigatory visit to Ottawa in Sept. 2015, we were introduced to Janny by friends who had purchased a condo through the Janny, Jeff and Shan dream team. From the get-go, Janny listened to our needs and found the best options to meet our requirements. She did her utmost to allow us to visit units for sale, and even others that weren’t for sale, just so we could have an idea of the quality of units that existed in the targeted buildings. Even though the prospective sale was 18-24 months away, she was friendly and attentive. She kept in touch for another 15 months but did not press us into making an early purchase, which was very important to us. I had the opportunity to return to Ottawa in Nov. 2016 and contacted Janny just to “investigate” a few new options. Again, she did not apply hard-sell measures but was rather service-driven, honest, patient and friendly. Her honesty, long years of experience in the market and her “inside knowledge” were definite assets and helped us decide to put in an offer on the perfect condo sooner rather than later. That was when her expertise became instrumental. She firmly guided me (the newbie) through the entire negotiation process and advocated for me all the way, ensuring that we got the best price-for-value on the condo. She patiently answered all of my questions at all times. After the offer was accepted, she helped with finding a lawyer and an inspector…such an important service when you live out of province. Michelle was also great at staying on top of things, making the many changes to the offer in record time. You are an awesome team and have truly earned my respect. Now, can I talk you into coming to Calgary to sell our house? “The Power of Three … Working for You” is the slogan of the Royal LePage real estate team of Jeff Rosebrugh, Janny Mills and Shan Cappuccino. But the same slogan could aptly apply to Jeff Rosebrugh, alone, given the knowledge, the years of experience and the enthusiasm he brings as a sales representative to his work. We know this because Jeff helped us to sell our home in Lindenlea. It was on the market for one weekend and sold for more than its listed price. Jeff is a resident of Lindenlea, himself, and he knows the homes in the area and the charm of the community. He has helped to sell a number of Lindenlea properties, and he knows what is typically required to prepare these older homes for listing. He assisted us through this initial phase by having a thorough home inspection conducted and then referring us to service providers for any minor repairs that would help to enhance our home’s salability. We also discussed pricing and marketing strategies, and Jeff, in collaboration with a professional photographer, undertook the preparation of promotional material highlighting our home’s special features for use in the advertising campaign. Throughout all this, we had the full support of Jeff’s colleagues, Janny and Shan, as well as their administrative staff, and benefitted from the team’s shared networking resources. When our home was finally ready to go on the market, an “open-house” resulted in several immediate bids, and the final sale was completed in a matter of days. We would, without a moment’s hesitation, highly recommend Jeff as a sales representative to anyone planning to sell their home, particularly residents of Lindenlea who will benefit greatly from his insight into the community’s marketability. His work ethic and modus operandi is efficiency and effectiveness to the power of three. His sales record speaks for itself. We have worked with Shan many times for both buying and selling properties in Ottawa and for good reason. He is always readily available, attentive and great at making things happen. His advice is on point, and he is very realistic and accurate with his approach and assessment of market conditions. He is well seasoned, and it shows. Thanks again, Shan! — J.C. & L. W.
I would like to thank Shan and the rest of the team for the excellent service you provided me with during the purchase of my home and having it rented out in no time. Shan ensured that the home was ready to meet the requirements of the tenant, which would have been a daunting task for me to have taken on. I must say I learnt a lot from your expertise. Your help, guidance and referrals in the process have been invaluable and more than what I would have asked for. I appreciate the professionalism and support offered by your team every step of the way, combined with a wealth of knowledge and experience. I will highly recommend your services to anyone and will be a returning customer in the future. Thanks again. — B.W. Jeff, with his “Power of Three”, ensured the demands of downsizing and selling a home (while I was working full-time) could be met in a timely manner. Jeff provided thoughtful advice at each stage, bringing in his colleagues’ expertise where it was needed. It was hard work all around, but a solid outcome with a good deal was reached within days of the house going on the market. Thank you, Jeff! And, thank you for all your help in getting the property sold. — Z.O. We feel that we made the right choice by choosing Janny, Jeff and Shan’s real estate team to sell our beloved home. While it was a difficult process for us, since we were leaving a house to which we were very attached, from the beginning to the end of the sale process, we felt that we were in good hands. Everyone on the team was very professional, respectful and pleasant to work with. Jeff made us feel confident with his experience and savvy advice, Christine’s staging skills helped us transform the place for the better, while the photographer took photos that attracted a large number of people to our successful open house, led by Janny. It was real teamwork, done by a very well-rehearsed team. Not only did the property sell in less than a week, but we were able to satisfy our closing date preferences. Jeff was also instrumental during the couple of months between the sale and the key handover as he provided us with a referral to an assessor to formally assess our income property value, as well as referrals to various tradespeople. Overall, the team helped relieve an enormous amount of stress and allowed us to focus on our move and enjoy our summer. And, for this, we are extremely grateful. — A.B. & L.F. I recently had the pleasure of working with Janny to purchase my first home. She was knowledgeable, patient and always available to answer my many (many) questions. Janny and her team are consummate professionals. I wouldn’t hesitate to use their services in the future and recommend them to friends and family. — M.K. Today, there is a new car in the driveway of 5 Rock Avenue and some money in my bank! And, I would like to take this opportunity to thank you and your team for your expert help in selling my house. Your knowledge and experience eventually paid off in what proved to be a difficult real estate market. Your patient manner and calm assurance gave me the confidence to continue along what was, at times, a hard personal path. I enjoyed working with you very much and hope that when the hectic summer cottage season is over, you will accept an invitation for a celebratory glass, or three, of wine. Sincerely, — M.S. Jeff Rosebrugh was the listing representative for the sale of my house in Manor Park. Jeff provided a complete range of highly professional services, which included a thorough primer on the mechanics of house sales, careful research to determine a suitable asking price, astute handling of sales negotiations, and shrewd advice pertaining to purchase offers. Jeff Rosebrugh is an experienced, knowledgeable and very competent Realtor who I would not hesitate to hire again as my sales representative. — B.M. We would like to thank you for the excellent support and guidance you provided to us throughout the period, which led to the sale of our house in Ottawa. We particularly appreciated your realistic advice on market conditions and on ways to improve our chances to sell our property within a reasonable timeframe and at a satisfactory price. We also appreciated your professionalism, as well as the support offered by your team. We look forward to making use of your services again and would not hesitate to recommend your firm to our friends and colleagues — G.D.R. & P.B. From the first meeting with Janny and Shan, we received excellent directives on how to prepare our house for sale. We were impressed by their knowledge of the business, by their professional network and their reputation among peers. They were quick to respond to all our questions, had an open, no-nonsense approach to providing us with answers, and were very receptive to our needs and suggestions. All in all, Janny, Jeff and Shan are a very efficient team that gets results. And, in our case, quick results. — F.G.
With Janny, it’s 1,2,3. Listed on a Wednesday, accepted an offer on the following Sunday and had a firm sale the following week. The transaction concerned a condo owned by my 91-year-old mother who is moving to a retirement residence. At that age, a person is very nervous and anxious when facing such a major change in their lives. Janny made her feel comfortable and looked after her as one of her own, reassuring her on the process, being very expedient with the steps to be taken (condo presentation, removing some furniture (even took the trouble of delivering, herself, unneeded furniture to a charity), taking the pictures etc. … All in all, the family couldn’t be happier, and thank you, Janny, for making the process so painless. — D.B. Our second time selling a house with Jeff allowed us to see the “Power of Three…Working for You” motto in action. Jeff did the initial open house, then his partner, Janny, stepped in seamlessly to handle the offers, which came in, and the third partner, Shan, assisted one of the interested parties. All three have been in the industry for many years and, as a seller, we benefitted from their knowledge of and personal relationships with other real estate agents during the negotiation process. Having successfully sold our last home with the help of Jeff and Janny, we embarked on a lengthy search process for a new place as part of our downsizing plans. While we looked at other neighbourhoods, staying in New Edinburgh was our first choice. As a long-term resident of the neighbourhood, we benefitted from Jeff’s encyclopedic knowledge of houses in the area and were happy to have succeeded in finding the perfect place. Jeff kept us calm during the negotiation process with his down-to-earth, positive personality. My husband and I made the right decision when we first chose Jeff to be our agent more than 10 years ago and continue to value his expertise and professional integrity. — J.C.
From the first meeting with Jeff and Janny, I felt the sale of my condominium was in good hands. I was worried that the process would be a drawn-out and stressful ordeal, but they were calm and confident in helping me set a fair and realistic price and walking me through what to expect when selling a condo in this market. I am very happy to say that their experience and skill paid off, because my condo is now sold! I will definitely use them in the future when I decide to purchase a home, and I would wholeheartedly recommend their services to anyone looking for an agent! Thanks again! — A.D. It was a pleasure working with Janny and her team. Janny fully understood our needs and helped work with us to find our family home, taking into account the newest addition to our family. She had suggestions for things we never thought of! Janny has a very personable approach, and we valued her honest opinion in helping us find what works for US. Her suggestion to broaden some of our search criteria helped us find our perfect home. Janny was very patient with us to find THE right family home for us for many, many years and memories to come. Thanks again, Janny! — C.L.& M.T. My cousin recommended Janny Mills to me, and it proved to be a great reference. Janny was accommodating and flexible in handling the sale of our condo. She proved to be available, a good listener, and sensitive to our needs, accomplishing the task with energy, chee, as well as devotion. On occasion, she lent us her husband to complete small tasks. I will be recommending Janny to those seeking a real estate agent in Ottawa. — R.A.
On behalf of my wife, Hettie, and I, let me say how pleased we were with the great service we received from you and your colleagues in successfully selling our house, very quickly. This is the second time we have called upon your services, and we would not hesitate to recommend you to others. — D.P. We have worked with Janny for the purchase and sale of both our principal residence and for income properties. Janny knows the Ottawa housing market better than anyone, always knows the best next step to take, and offers clear and considered advice throughout the process. Janny is an excellent strategist and negotiator; you will get the best deal. Michelle and the support staff are excellent communicators, always easy to reach, and provide clear instructions at each stage of the purchase/sale process. Given that buying and selling houses is essentially a matter of completing a very long checklist, you want someone like Michelle guiding you along the way. We have referred many friends and colleagues to Janny and her team and will continue to do so. — J.B. & E.K. I really enjoyed working with Janny on my recent purchase of a condo in the Byward market. I think what I appreciated most was her solid judgment: When the condo I called her about had just been sold, she presented me with options for units in the same building that were for sale, pinpointed pros and cons of each, directed strategy for negotiating the price once I chose the unit I wanted to go after, and worked with gusto to get me the place. Janny is not a person who needs her hand held to deliver the goods! It’s great to work with a mover and shaker like Janny. She makes things happen. — S.C. 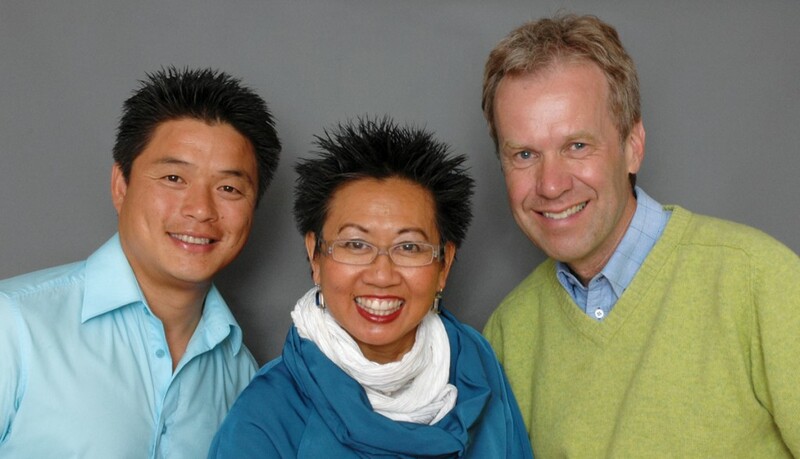 When I decided to sell my house, I immediately thought of Janny, Jeff & Shan. I had worked with Janny & Jeff to buy my first home and was so happy with their professionalism and approachability that I had no hesitation in once again acquiring their services to sell my house. As a result of their hard work, I received an offer on my house in less than a week. More than half a dozen of my close friends have also benefitted from the team’s expertise, all with similar and amazing results. I have always been very impressed by their knowledge of the Ottawa real estate market and their ability to listen and understand your needs to find the home that is right for you. They are always there to provide their best advice, and it is clear that they have your best interests at heart. The next time someone asks me for a recommendation for a great real estate agent, I know what my answer will be . . . Janny, Jeff & Shan! — M.M. & W.P. I would like to thank you and your team for your assistance in the sale of my home. Your calm attitude and wealth of experience helped guide me through what can be a stressful process, while your negotiation skills resulted in a very good price. All the best! Just a quick note to thank you and Janny, and the rest of your team, for helping sell my house. I’m still amazed at how quickly and easily the process seemed to flow. Clearly, you all knew what to do, and you got on with it—which was great for me since I had so many other things to deal with. And, to finalize a sale that was higher than the asking price was just icing on the cake! I’ve already had a couple of people ask me about my experience with your office, and I didn’t hesitate to recommend you. Thanks for everything. — M.A. It was a pleasure working with Janny and her team. Janny fully understood our needs and helped work with us to find our family home. She had suggestions of things we never thought of! Janny has a very personable approach, and we valued her honest opinion in helping us find what works for US. Her suggestion to broaden some of our search criteria had helped us find our perfect home. Thanks again, Janny! We want to thank you and your team for your contribution to the process of selling our condo and purchasing a new home. Everyone contributed in multiple ways to make the process a complete success. At every stage, a member of your team was ready to step in and provide all-around coverage. First, the hard part. For a year, you took us everywhere in Ottawa’s neighbourhoods. We looked at bungalows, 2-storey homes, high-rise condos, homes in need of work and homes that were overworked. Had we asked to look at igloos, you would have found the perfect choice. The process was exciting but must have been frustrating for you as we were not clear on what we actually wanted. Twice, in our eagerness, we thought we had it and put in offers. For each, you pointed out the cautions and compromises that we would have to accept or make and helped us tailor the offers, accordingly. In hindsight, we are happy that the deals did not materialize, but at the time, the market was not working in our favour. This time and experience gave us greater insight into our needs. You probed and asked questions, helped us bracket our needs and, eventually, we found a place that we love. Yes, it took about a year. Yes, it was well worth it, and we are grateful for the experience of working with you. Through it all, you remained calm, focused and unflappable, qualities needed to keep us on course. The end result was a perfect match. Again, thanks to You and “The Power of Three”. The greatest compliment probably is to recommend a service to friends—and I would certainly do that in the case of Janny, Jeff and Shan. I turned to them when selling my house because they knew the neighbourhood and were sensitive to market realities. Working with Janny, in particular, I found her to be considerate, honest and highly efficient. She helped me through all the stages of the selling process, making it as painless as possible. Many thanks. Selling a home that you have loved for 20 years is stressful. Janny, Christine, Michelle, Shan and Jeff were wonderful. I was delighted by the fine work they all did and grateful for the kindness and patience they showed. These are good people and wonderful at what they do. I recommend them every chance I get. Thanks, Jeff, You were very patient with me, and it was very much appreciated. I will not hesitate to refer you to my friends. All the best. Thank you, Jeff. It was a pleasure working with you to find this beautiful home. You provided us with exceptional service, and we never felt pressured. When it is time to sell, we will be calling you to place it on the market. Being new to real estate and selling our first property, we were skeptical of the process and how long it would take for our house to sell. Even though we were in a time crunch, Janny, Jeff and Shan made us feel confident that it was possible to meet that timeline… and we did. Shan and the team were fantastic. From the pictures, to the staging and all-around customer care, the experience was above and beyond our expectations. The sale went smoothly, the paperwork completed with ease. We would definitely recommend Janny, Jeff and Shan and their services and expertise to anyone. — T., J. & P.
We decided to list our house with Janny, Jeff and Shan because they were very active in our neighbourhood, and we definitely made the right decision. Shan’s knowledge of the housing market in the area is unmatched, and he has access to a great network of tradespeople and staging experts who helped us get the house in tip-top shape. Despite this year’s tough market, we had a lot of traffic and many interested parties, and within weeks our house was sold. Throughout the process, Shan was always available and ready to answer all our questions and to alleviate our first-time-sellers’ insecurities! We would certainly retain Shan’s services again, either as buyers or sellers. Thanks so much to Janny, Jeff and Shan and the rest of the great team working tirelessly behind the scenes! Recently, I had the pleasure of working with Jeff Rosebrugh of JannyJeffandShan.com. I had been looking for a new home for almost a year on my own, fumbling and fussing about not finding the right fit. (Dealing with) open houses, pushy agents and poor marketing. In just a few short visits with Jeff, we saw exactly the homes I was interested in and landed on the perfect fit. A home that far exceeded my expectations. Jeff was completely in tune as to what I was looking for and has the team and the contacts to make the home-buying experience exciting and successful. The Janny, Jeff and Shan Team where professional and accessible whenever I needed them. The experience they bring to the table is invaluable. Jeff’s knowledge reaches beyond real estate, and his personable nature made my home-buying experience easy and comfortable. Janny, Jeff and Shan were terrific to work with. From the work they did in helping us get our home ready to show, to their knowledge of the market and the right price to ask for our home, to their help in finding our new home. From start to finish, we were very impressed. We wouldn’t hesitate to recommend them to anyone buying or selling a home. Jeff sold our house in less than a week of being on the market! We were so happy with the professional service and success that we listed our condo (which we were trying to sell for a very long time) with their team, as well — it was sold within two months!!! This team is excellent and truly has a fantastic network of contacts. We would recommend them to anyone trying to sell a property in Ottawa. Thank you, Janny, Jeff and Shan! When my wife and I moved from one house in the Glebe to another, Jeff Rosebrugh was our buyer’s and seller’s agent. We were very pleased with the service that he gave us. It is obvious that he has a lot of experience with homes in this area. When negotiating for the new house, he was able to give us a very good sense of where we stood. When we needed to get our current house on the market quickly, Jeff gave us clear and accurate advice. He knew exactly how to price the house in order to sell it quickly for the most value. He and his team told us how to stage it for a successful sale, even going so far as to help us take a lot of our things to a storage locker with their truck. The photos that they put online were stunning. We accepted an offer just one day after the open house, four days after putting it on the market. We recommend Jeff very highly. It was the best choice to go with you, Shan. Your many years of experience in the Real Estate Market, coupled with your ability to list our home at the right price and at the right time ensured the successful sale of our condo in less than three weeks. What’s more, your team’s excellence in providing recommendations on staging the home and the promotional materials that went hand-in-hand for our home garnered a lot of interest from potential buyers. We were very impressed at the number of interested buyers that came through our door, especially in this tough buyers’ market. In short, we were very thankful that we had secured your services and will recommend you to anyone without any hesitation. Hi Jeff, I want to thank you, officially, for your excellent, professional service in selling my home. I was reassured throughout the selling process by your knowledge of the real estate market in Ottawa, your integrity in marketing the house and in establishing an appropriate price point for my home. The market in my neighbourhood was saturated with homes for sale, but based on your steady hand, timely advice and excellent negotiation skills, the house sold within one week. Your honest appraisal of the house’s value was confirmed when the house sold! It was great working with you, Janny and Shan. You made this a very harmonious experience. I highly recommend you and your team to any potential buyer or seller. Best Regards. Janny, Jeff and Shan were each incredible through the process of purchasing my current house. Each were knowledgeable, attentive and proactive. In my case, I truly had the “Power of Three” working for me, and it was seamless. Jeff showed me the house, Shan drew up my offer and Janny closed the deal. I have relied on Janny’s expertise, experience and professionalism for the last 8 years and knew I could rely on her and her team once again. An excellent team. I would like to thank Janny and her team for all the hard work they did to sell my house. Establishing market value is always difficult, and Janny did a very good job of establishing a fair selling price in my opinion. She also wrote an excellent description of my property, which did a very good job of highlighting its highly desirable location. I believe that that write-up, along with the excellent pictures that Shan took, were instrumental in selling my house in an unstable market. I would be remiss if I did not also thank Janny for her negotiating skills. My decision to trust her professional judgment turned out to be well founded. Thanks also to Jeff for his support and guidance during the closing phase. Finally, I would like to add the entire team worked hard throughout the process, and someone was always available to answer my many questions and concerns. Jeff and the team sold our house within days. We couldn’t be happier. Jeff’s knowledge and experience, his attention to detail, support and advice made the whole process stress-free. You won’t find a better team anywhere else, so list with them! Now that the sale of my mother’s condo is confirmed (but not closed), my Mum and I want to write you a short note of appreciation. Throughout the ‘For Sale’ period, we were pleased with your and your team’s professional attention to us—keeping us informed of showing activity and potential buyer ‘Feedback’ — as well as to the business of selling. We thought your promotional materials and advertising put the apartment’s “best foot” forward in what may have been a difficult market and marketing season. We were also very appreciative of the fact that you and the rest of the team served as a focal point for buyer and third-party agent inquiries. While I know that this is a critical aspect of the real estate service model, it does not diminish the value that we attach to the fact that you and your team played that role for us, and played it to good effect—witness the confirmed sale. Thanks for your skilled help. Shan is the most hard-working real estate agent I have come to work with. I had been attempting to sell my downtown condo for a full year when I decided to contact Shan, after noticing he had recently sold one of the neighbouring condo units in less than a week. It was the right decision. I found Shan to be very resourceful, personable and perseverant. He gathered and set up the right furniture for staging, recommended a few minor but high-payoff renovations and represented my interests very effectively. Shan is an excellent communicator—both with his clients and other real estate agents. This served me very well as I was kept informed of prospective buyers’ feedback, and we were able to make adjustments to the condo along the way. My condo was not an easy piece of real estate to sell. I could not have chosen a better real estate agent than Shan, and I highly recommend him to all. Thanks to you and your team for all your hard work. When planning our move to Centretown, we researched agents who specialized in the area and chose Janny Mills for her expertise and the positive comments of her clients. Janny not only engaged actively in the purchase of our “forever” home in Little Italy, but found eager buyers for our high-end downtown condo. Everyone wins, and we have Janny, Jeff, Shan and Gail to thank for this result. Hi Jeffrey, thanks to you and the team Re: the success of the sale. We are all pleased with the outcome and the representation that was provided throughout the project. The end result was the price I was targeting from the outset and a great closing date—all was a rather difficult task. When we decided it was time to move, we really didn’t know where to begin. The thought of getting our house ready to sell was overwhelming. We had heard about how great Jeff and Shan were from friends in the neighbourhood. Our friends were right. Jeff and Shan came in and took care of every detail. They were professional, friendly and incredibly efficient. We felt that we were in good hands throughout the entire process, and we’d strongly recommend their team to anyone looking to sell their house. Jeff and Janny come highly recommended as real estate agents. We wanted to take our time looking for just the right home, and Jeff and Janny helped us in that search without putting any pressure on us to rush the process. When we found the home we wanted, they helped us negotiate the best possible deal. When it came time to sell, they knew just what strategy to use, and we sold within days—well above our asking price. They were always courteous, meticulous and a pleasure to deal with. Jeff and Shan helped us buy and sell in less than two weeks. Their team rolled in and had our house ready to sell, and looking better than it ever had, in record time. We enjoyed working with such a kind and professional team and highly recommend them. With your assistance, we found the home and location we were looking for, and then had a firm sale for our existing home within five business days of accepting offers. Your detailed knowledge of the Ottawa market and sound advice provided value at every step. Your pricing guidance was accurate, you were strong advocates for our interests during home selection and contract negotiations, you made yourselves very available, and you worked well together as a team. I want to single out Janny, who we spent the most time with and was an absolute joy to work with. I will happily recommend you to others. Janny and Jeff helped us at both ends of our real estate journey—after the quick sale of our condo, they helped us find the perfect home. When it came on the market, they gave us spot-on advice, from negotiating the offer, to arranging an inspection on short notice and closing the deal. We were amazed with their patience—even though it took just a little more than a year to find the house we wanted, Janny and Jeff gave us the same close attention and advice at the end as they did when we started looking. Along with their support staff, they worked together perfectly as a team, with seamless hand-offs and amazingly deep and detailed knowledge of Ottawa’s neighborhoods. My partner and I decided to purchase our first home together in the summer of 2010. Janny had recently assisted a few close friends of ours in the purchase of their first homes, and all were very satisfied with the excellent service provided by Janny and Jeff. We decided to contact Janny to represent us in the sale of my partner’s condo and purchase of our new townhome. We experienced first-hand Janny and Jeff’s high-quality service and professionalism. Janny is extremely knowledgeable of the housing market in Ottawa, and made my first home purchase experience a breeze. They guided us through the process by providing honest and sound advice. She and her support staff were available well beyond regular business hours to ensure that every detail was taken care of, and, of course, to close the deal! She and Jeff also helped stage my partner’s condo so well that it sold in less than one day! We now own a beautiful home in a fantastic location. We would gladly recommend this team to anyone looking to purchase or sell. Thank you, Janny and Jeff! — B. M. & S.G.
We wish to express our sincere gratitude to you both for your expert advice and assistance. Thank you for your hard work in negotiating the successful purchase of our current home and the sale of our previous home. We especially appreciate your professional advice during the renovations of our property. Renovations can sometimes be challenging, but your calm and realistic advice was always helpful. We now personally understand and appreciate why you both have been such successful professionals for many years. It is a pleasure to work with you both. Janny, you are a star! I have really enjoyed our meetings and consultations. You are very knowledgeable when assessing a property, and honest and straight ahead when laying out the facts. There was no question too small that didn’t bring forth a complete and informative answer. We worked together with respect, and at all times I felt like a full partner in the selling of my property. You are a real people-person, who really cares about achieving the best result for your client. Jeff, I appreciate your filling in for Janny when she had to be away. You kept on top of it in a way that spoke of how closely the two of you work together, and you took care to make sure the sale continued to be a high priority. It was a pleasure working with you. Smooth, Speedy and Dynamic! What a Duo! I called Janny and Jeff because they sold a property next to my own. In addition to that, I had always been very impressed by their lovely advertisement with their two smiling faces on it, so for me, it was a very quick decision. Immediately, I was struck by their efficiency and enthusiasm. They were extremely professional, kind, pleasant and always available for any query I might have had. The fact that I was selling a rental property made the sale more complicated because there were tenants involved. I was amazed by their consideration for not only the tenants’ rights, but they truly treated my tenants as they might have wanted to be treated themselves. As such, the entire process went very smoothly. Janny and Jeff work as a team and have staff who are as efficient and pleasant as they are. So, no matter who was handling any particular issue, I was always delighted to have the same high standards met in a manner that was just so pleasant. Thanks to Janny and Jeff’s ability to set the price to match the market and their strategic approach to the sale, we sold the house in less than a week at a price that was higher than we had hoped by a significant factor. I was delighted to work with Janny and Jeff and would not hesitate to hire them again, nor would I hesitate for a second to recommend their services to friends. Janny and Jeff, thank you so much for such a successful sale process but also for bringing to it such delight and enthusiasm. Janny has sold two duplexes for us and consistently provided excellent advice. She offers a highly professional service, supported by her very competent office staff. Janny is accessible and always personable. We were very pleased with her support and would not hesitate to seek her assistance for our next real estate transaction. My mother, who met you when you did your initial survey and evaluation of her house some 10 to 15 years ago, remembered you very well when we talked about selling it several times over that last few years, and suggested that, when she was ready, I should contact you again, recalling your kind manner and your knowledge of the neighbourhood market. As I was present and met you all those years ago, I felt confident in contacting you when it came time to sell earlier this year. During the sale of the house in April, you and your partner, Janny Mills, were both very professional, and very personable throughout, and available for consultation at all times. Your pricing of the house was spot on, and your proficiency in arranging the listing, the viewings and the review of the offers meant that we obtained an over asking price, confirmed sale, within four days of putting the house on the market. Thank you, too, for ensuring all the sale and transfer paperwork was completed promptly, with no details left undone. My lawyer was very pleased with everything he received from you. It was a pleasure working with you, and I will not hesitate to call on your professional services again, or to refer you to others, whether buying or selling. We would like to take this opportunity and thank you all for the support and wonderful results! Thank you for selling our home! It has been a pleasure working with such helpful and professional individuals. We wish you the best in continuing your success in the future. Great, thanks for the good news Jeff… we’re very glad we had someone with your patience and detail-orientation acting for us through this long process… all’s well that ends well, and I think this counts as a very happy ending! Janny made buying our first home together an easy and exciting journey. Her in-depth experience and knowledge about the Ottawa real estate market made us feel at ease and confident in our decision to buy. Thank you to Janny and her crew for helping us buy not just a house, but our first family home. — C.H. & D. R.
I think it was about two years ago that we started to plan our return to Ottawa. 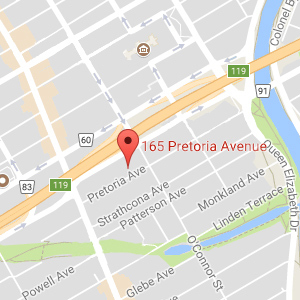 When we first contacted you to act as our agent, you expressed optimism that we could sell our house in New Edinburgh for a good price and that we could find the right condo to suit our lifestyle. You took the time to educate us on the Ottawa market and, over an eighteen-month period, showed us dozens of condominiums. This process helped us to narrow down what we were looking for and to identify the location and price range that suited our objectives. Once we found a condo we liked, you provided expert advice and represented our interest in the purchase. We learned that we could trust your judgment, integrity and experience. At no point did we feel that you were pressing us to take a decision or make an offer with which we would not be comfortable. When the time came to sell our house in New Edinburgh, you again provided professional advice and support. You recommended that we list the house at a good price (higher than we had anticipated) and guided us through the sometimes-intimidating offer-and-purchase process. As you know, we were delighted with the final sale price. Throughout this process, we knew that we could count on you for fair and professional advice and support. Without your support, the process would have been much more stressful, and I have no doubt that we would not have been as comfortable with the final results. We are also very grateful to your excellent team at Royal LePage Performance Realty. It was a pleasure to work with them and to know that they all had our best interests at heart. We will certainly recommend your name to friends and relatives who may be considering the purchase or sale of properties in Ottawa. If and when we decide to move again (Life is always changing. ), we will once again ask for your help. Best wishes to you and Janny, and thanks again. — R.W. & C. S-W. Thanks again for everything you’ve done for us. We really appreciate your help and guidance through this whole process. You went beyond the call of duty in looking after our best interests. We are very pleased with the house and its location. Janny’s positivity and good counsel made the process of buying my first home so much easier. I knew I could rely on her and her always-helpful team to get me a perfect place at a great price, and they did! You took us seriously, even though we were not yet really serious and were simply starting to consider moving…You were able to take into account both our points of view with tact and diplomacy. The brochure and photos were very professional (Thanks, Michelle.). Buying and selling properties recently has been a huge learning curve for us, so different from what it was years ago. I realize that real estate agents must be primarily psychologists. Actually, you came up with two convincing arguments about why we should buy the apartment: We would not find anything much better in our price range in this area, and we could rent it out until we were ready to move. All this to say, there is no way we could have done this ourselves without an agent. You were highly recommended by our mutual friend so many years ago, and it has been a real pleasure working with you. Mon épouse et moi tenons beaucoup à vous dire combien nous avons apprécié votre soutien et celui de votre équipe lors de la vente de notre résidence. Il n’est pas toujours facile de couper les liens avec son chez soi de 25 ans. Néanmoins, grâce à votre très grande expertise et professionnalisme, nous sommes aujourd`hui très heureux d’avoir pu conclure la vente de notre maison en quelques semaines. Vos conseils avant et durant la vente nous ont été inestimables. Encore une fois, un très gros merci. — J.F & M. F.
Thank you, Jeff, for the most painless and quick sale we have ever seen or heard of. When it came to selling our home in Lindenlea/New Edinburgh, we knew that Jeff was our guy. He and the whole team delivered a smart, professional and efficient approach that sold our home very quickly. Each stage of the process was handled perfectly, from the pre-sale assessment and the advice on staging to the management of the sale, itself. Jeff and Janny clearly have the right in-depth knowledge of the market and its different neighbourhoods. We would gladly recommend the Jeff and Janny team to any of our friends. Thanks again, Jeff, Janny and Michelle! — P.S. & R. S.
Referred to us by a friend, Janny first visited our unit to provide us with guidance on how to make our house more attractive to sell. We agreed on a completion date to achieve that and implemented her recommendations. It worked marvelously. Janny and Jeff organized two open houses, and even before those, we had an impressive flow of visitors. Very soon, we had some offers. Janny and Jeff were always readily available throughout to coordinate visits and to keep us up to date on the process and to provide us logical and balanced advice. The bottom line is that we had our unit sold within three weeks for only very slightly under our opening asking price. For anyone seeking professional, realistic and courteous assistance in buying or selling a home in Ottawa, I strongly recommend the Janny and Jeff team at Royal LePage. You won’t regret your choice. Selling our fifty-year-old family home was a satisfying experience, thanks to Janny, Jeff and their team. Our house sold quickly and at an excellent price. Janny always found the right balance between being straightforward and caring. Her honest advice supported us throughout the process. Janny went above and beyond in being available, helping with staging and listening to our needs. We have great memories of living in our home and, thanks to Janny and Jeff and their team, we have great memories of its sale. …Thanks also for all your help with the sale/purchase of our houses. We are finally feeling more or less settled in and couldn’t be happier with the house or location. — A.M. & C .N. We really enjoyed working with Janny regarding the purchase of our new home. Janny was enthusiastic, personable and, most importantly, professional. We were only in town for a few days to find a home, and Janny dedicated herself to helping us find the right one. We are pleased with our new home and the work that Janny did to make the process go smoothly. Jeff, we are very, very happy that our property sold so quickly. Thank you so much for everything you have done for us. We will recommend you and Janny to all of our friends. I Interviewed several agents before entrusting the sale of my townhouse to Janny and Jeff. They were the most prepared, the most knowledgeable about the marketplace, and the most adaptive and responsive to my needs. A pleasure, from listing to close. When I knew I was leaving the city, I was worried about having to sell my house just two years after buying it. Jeff Rosebrugh was recommended by a neighbour as one of the best agents for my area, so I called him. He gave clear and thoughtful answers to all my questions and suggested a price which was slightly higher than the one I expected. His advertising of the home and his negotiating with the buyer’s agent were effective. Maybe I was just lucky to get a satisfactory offer, but as far as I can tell, Jeff and his team did a fine job. Jeffrey Rosebrugh and Janny Mills sold our house within 12 days, in the middle of the 2009 recession, after adjusting the asking price upward. They gave us frank advice about the staging (Our house was overcrowded. ), organized an open house that attracted two dozen couples, and even gave us advice for the house we were buying (Though, they were not its agents.). They made a normally stressful experience pleasant. They came highly recommended to us. Now we know why, and we are delighted to pass the word around. — R.C. & J. S-M.
Jeff was referred to us by friends who had worked with him for the purchase of their home and were happy with his services. After meeting with Jeff, we decided to engage his services for the sale of our condo and the purchase of our new home. From the beginning, Jeff, Janny and their team were extremely diligent at keeping in touch with us and worked aggressively to sell our condo. We attribute the quick sale to Jeff and Janny’s in depth knowledge of the neighbourhood and market conditions, combined with Gail’s hard work during the open houses. When we were purchasing our new home, Jeff was instrumental in getting us the house we had fallen in love with from the beginning. He was even kind enough to entertain our baby while we looked through the houses. We would happily refer any of our friends to Jeff and Janny. Thank you Jeff, Janny, Gail and Michelle! We are extremely impressed with how Janny and Jeff’s team handled the sale of our home. Following our decision to move overseas, we never imagined that it would take only three weeks, start to finish, for us to finalize a sale. These folks are true experts, and they make real estate look like an art form. Despite the quick pace of the spring market, we, in fact, never felt rushed. Every aspect of the sale, from strategizing for an optimal sale price, to creating beautiful-quality photos of our home, was done with the ease of professionalism and experience. On a personal level, we also liked the directness and approachability of each of the members of Janny and Jeff’s team. As the first offers on the house came in, Jeff handled the bidding war calmly and confidently, and I remember that I was struck with a tremendous sense of relief at how lucky we were in our choice of Realtor®s. We simply couldn’t be happier with the result. Janny, we have been happily installed in our “new” home for four years now, and it recently occurred to me that I couldn’t remember having ever formally thanked you for being such an amazing Realtor® for us. Thank you so much for all you did for us in selling our old house and searching for and buying our new one. We were very likely some of your more challenging clients, but you were the quintessential professional and always kept your sense of humour. We really appreciated all of your excellent advice and how you went to bat for us on more than one occasion! You guys are an outstanding team. I have already given out your coordinates to three colleagues.
. . . The team took my cosmetically challenged house and made it sell itself within one week of being on the market. Their complete understanding of my needs, combined with their cunning expertise in attracting the right buyers with smart decorating choices, made it all possible. We wish to thank your entire team for seeing us through the painless process of selling our home. From our first meeting to having an offer in hand took one month—remarkable! Jeff’s in-depth knowledge of the marketplace and the team’s understanding and respect of our needs culminated in the sale that met our objectives in terms of both pricing and timing. Jeff’s personable and refined manner had attracted us in an earlier transaction. Gail and Michelle both provided professional and efficient follow-through. We could not be more pleased, and intend to “promote” this team’s effectiveness. Janny and her team worked very hard selling my home. They took extra care in preparing the listing information, ensuring my home features were well documented, and gave me sound advice on where to focus my attention to improve my showings. My home was a unique property…because of its large size. It took longer than usual to sell my house…but Janny and her team persevered, always remaining optimistic, staying objective, presenting facts of each offer and counteroffer clearly. I was very happy with the services they provided and would not hesitate working with them again if I am either buying or selling a property in Ottawa. We couldn’t be happier with our new home — or with our decision to work with Janny. Janny was really committed to helping us to find a house in the neighbourhood we wanted. We could always tell how much she genuinely cared about helping us find our dream home. She never pushed us and was patient throughout our house hunt. Her knowledge really makes her stand out. She knows downtown inside out, from the neighbourhoods to the individual properties! She’s knowledgeable about the structures of homes; she helped us evaluate what would be a good investment, and she’s even pretty creative with design and renovation suggestions. Her advice throughout was invaluable. We also really benefitted from the amazing organizational skills of Michelle at the office, both during our search and when it came time to work with the bank and lawyer to close the purchase. And the excellent service provided by Janny and her team didn’t stop when the deal was sealed. She has been flexible and extremely patient as we scheduled several (long) visits before taking possession. She also gave us great recommendations on contractors, and, as a result, we’ve been able to schedule some work on very short notice to fit our move-in timeline. We can’t wait to move in, and in the meantime, we’ve begun spreading the word and recommending Janny and her team. Janny provided us with a level of service that we describe as sophisticated; a combination of real local knowledge about the neighbourhood we wanted to live in, straightforward and expert advice on the details that really mattered, delivered in a very personable and professional manner. Janny is well connected and helped us navigate a tough market to make the right decision. We go out of our way to recommend Janny and her team. Jeff, just to let you know that as the summer kicks in, I am very pleased with the apartment and so a slightly more considered thank you for pointing me at it. I was sat on the balcony having breakfast in the sun at the weekend, went for a swim at the outdoor pool and played tennis on courts. Gym and indoor pool also great value. Great spot for running down into Rockcliffe area and along the river and even into town. Very quiet, nice setting and views…..Much appreciated, and thanks for all of the help. Janny came highly recommended through several of our friends who had excellent home-buying experiences with her and her team. Not only were we first-time home-buyers but we were also new to Ottawa and, therefore, relied on Janny’s advice not only for the home-buying process but also for information on neighbourhoods, the housing market in Ottawa, features of the properties we viewed and the potential (or potential pitfalls) of the properties in which we were interested. We valued the time that Janny took to understand our needs, her patience in waiting for the right house to come on the market and her perseverance in helping us to negotiate the sale once we found our home. Janny gave us as much attention as we needed (which was often quite a bit!) and was available to us when we needed her. On the rare occasions when she was unavailable, Jeff and Michelle were able to jump right in and help us out. We most appreciate that we were never pressured to purchase and that we could rely on Janny to be honest in counselling against any homes that were not quite the right fit for us. We know that she would never allow us to settle! We recommend Janny & Jeff to anyone who is in the market to buy a home and will, without a doubt, call on them for all of our future home-buying and selling needs. Thank you so much for your hard work, dedication, efficiency, patience and humour. You have made our first experience selling a house a very enjoyable one. Thank you, Michelle, for answering our numerous questions and for taking such stunning pictures of our home! They will always be a great memory. Thank you for being so patient with all that paperwork! Janny, we really enjoyed your warmth, openness, knowledge and professionalism. Despite your very busy schedule, you gave us personalized attention. We still marvel over the price you were able to fetch for our property and how fast the sale was concluded! We have recommended your services to others and will be sure to call upon you the next time we sell or rent out a home! Thank you, both, you’re amazing! Janny made a lovely memory out of a stressful process. Her everlasting energy, her sharpness and sensitivity is truly inspirational. 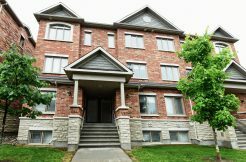 We were first-time buyers with little experience in Ottawa. Her support gave us confidence in that we would find what we really wanted within our means, and in the end, we did. I would like to thank you for the excellent service you have provided us upon the sale of our property. I have greatly appreciated your regular feedback. Your following up with other agents would have allowed for making potential changes to the house to make it more appealing to prospective buyers had it been necessary. Your guidance in establishing a sale price and handling offers was very helpful. I will be very happy to refer you to anyone looking for a Realtor®. If you’re lucky enough to have engaged Janny Mills as your Realtor®, the entire process will be so much easier and enjoyable. Janny has a wealth of experience in the Ottawa real estate market from which she offers well founded suggestions. Always thorough, respectful and at the same time a joy to be around, Janny is an exceptional Realtor, and we will recommend her without hesitation. I just wanted to say thank you so much for all your hard work, and to all of your team as well, Janny, Michelle, and Gail. You were all very professional and kind to me through this process. After four years, our DFAIT posting to another city was coming to an end, and we needed to quickly find a new home in Ottawa. Janny had been recommended [to us] by a fellow Foreign Service officer, and we are truly glad we followed his advice. Working within the parameters we had established, Janny and her team sent us hundreds of potential homes, from which we selected about 35 we wanted to see. When we got to Ottawa, Janny very quickly surmised that we weren’t “suburban” people, but she showed us several of the suburban homes we thought we might be interested in — this exercise helped us prove to ourselves that she was right. Narrowing our search to urban areas, we soon found a house we simply loved in Centertown. 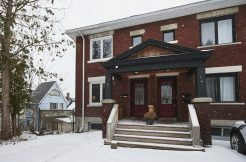 Janny, a lifelong resident of Ottawa, not only knew the neighbourhood, but she actually knew the house and its history from previous visits over decades. Janny’s good-natured but steely-tough negotiating skills got the price down smartly, and then she won a further reduction as a result of the house inspection performed by the erudite Arkadi Abramovitch of HomeTeam Inspection Service. She also helped us quickly get financing at very attractive rates from the peripatetic Johanne Hamilton of RBC. Altogether, our home-buying experience was fun, focused and satisfying, thanks to Janny’s knowledge, intelligence, integrity and energy. We recently engaged Jeff to sell our house and were impressed with him from the first time we met. He is businesslike yet personable, and thoroughly familiar with the local market. His marketing plan reflected our objectives, and his pricing recommendation came after only consultation with his team and a careful review of comparable properties in the area. During the offering process, Jeff’s eighteen years of experience really shone through — something that we found extremely helpful and which we greatly appreciated. He was clearly working for us, yet, at the same time, was objective and businesslike with the buyers’ agents. We would enthusiastically recommend Jeff to both buyers and sellers. Thank you for handling the sale of our current property and the purchase of our new home. You were always friendly, efficient and professional. You assisted us in making a great decision and we couldn’t be happier with the outcome. Thanks for all your help and professional advice, Janny. You have helped us buy and sell 3 properties in 8 years. Your help was greatly appreciated. A very satisfied client, once again. My sincere thanks to all of you for your assistance during the search and purchase of my house. Your help was greatly appreciated. All the best. Thank you for all of your hard work in selling 40 Bullock. We truly appreciate your professionalism and, more importantly, your warm and personal approach. We have recommended several people to your team and will continue to do so. “Merci Jeff à toi et ton équipe! J’ai bien apprécié votre efficacité et votre professionalisme. Vos bons conseils ainsi que vos efforts ont étés grandement appréciés. Je suis encore étonnée que vous avez réussis à vendre ma maison en trois jours!!! De plus, grace à vous, j’ai obtenu le plein prix de ma demande. This is to thank you all most warmly for handling the sale of our house and the purchase of our new home. You were always most efficient and professional, as well as courteous and helpful at all times. On the purely business side, you had a good sense of equitable pricing and a way of getting there so as to make the move and transition to the new home an easy one. We are very grateful. Thank you both for helping me find my perfect first home. Your patience, guidance and sincere enthusiasm made a first home purchase a wonderful experience. I look forward to enlisting your help again in the future and will highly recommend your services to friends and family members. Jeff, I want to thank you and your team for the work you did in selling my condo. From the first visit, by you and Janny, at which you advised me against doing any remodeling, through the advice you gave me on the initial pricing and the most excellent job Michelle did in photographing the apartment and producing the brochure, to your advice on the strategy for pricing to sell, I was most impressed by the professionalism and practicality of the work. And I mustn’t forget the hard work by Gail at the open houses, which were obviously so successful. All the best to you and the team! We used Jeff’s services to sell our old house and purchase a new one. We selected him after seeing his ad in the Queen’s Alumni Review and interviewing more than 5 different Realtor®s. We were impressed by his in-depth knowledge of the neighbourhood. More importantly, my husband and I really appreciated his non-pushy, professional approach. Jeff gave us excellent advice on what needed to be done to update our old house, including recommending some of the contractors to do the work. When it came to the purchase of our new house, it took 3 years of looking to find what we wanted! We never felt under pressure throughout this whole time and are thrilled to have finally found our dream house thanks to Jeff’s negotiation skills. We have found Janny Mills to be a Realtor® of unparalleled energy, trustworthiness and expertise. As first-time homebuyers, we relied on Janny’s advice and knowledge throughout the entire process. We never felt pressured by Janny — she genuinely wanted to find the best house for our needs. Her experience helped us to see past the flashy presentations of some properties to understand their underlying flaws, and her vision helped us catch the “diamond in the rough” that we eventually bought. Janny’s expertise was essential during the tough negotiations to buy our house — she protected our interests and made sure that the seller honoured all obligations. She also impressed us with her broad range of contacts, ranging from home inspection to insurance. Finally, her advice on what renovations to take on (and which to avoid) has increased the value and livability of our home. Every time we come home, we feel so lucky that we found a home with everything that we needed in a neighborhood we like… and in our price range. We have already enthusiastically recommended her to our friends, and to any who would listen. After listing with two other Brokers, we found Janny Mills and her team were extremely professional. The feedback was prompt & the sale of the property was quick. Honesty and reliability were key. Thank you guys… we would gladly list again in the future. As first-time home-buyers, we needed someone who could guide us through the process, offering advice and assistance every step of the way. Janny and her team were exactly what we were looking for. Their knowledge, experience and commitment to us as clients ensured we were always comfortable in the decisions we were making, which made the whole process of buying a home a pleasant one. They were always available to us when questions arose, and working with Janny was delightful. Her friendly and personal approach, in addition to her clear understanding of the housing market, left us confident in knowing we got the home we wanted, and at a price that was fair. Thanks to Janny and everyone at the Central Ottawa Royal LePage office! We would like to take this opportunity to thank you and your team for the fine job that you did in selling our property. We liked your clear and organized approach and the way that everything happened as it was supposed to. This resulted in lots of interest in our property and a quick sale at an excellent price. Thanks again, and all the best in the future. We were very pleased with the prompt service you and your team provided and the results were outstanding — from your initial contact to the marketing plan for our property and the speed with which it was implemented. You were experienced, and your professionalism was evident throughout the entire transaction. It was a pleasure meeting and working with you and your team. Janny Mills is a fantastic Realtor® …We appreciated her direct approach, her keen eye and her honesty…she took our personalities and lifestyle into consideration … We didn’t just buy a house, Janny helped us to buy a home.